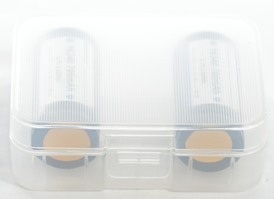 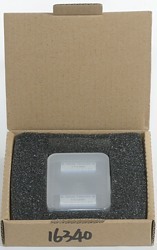 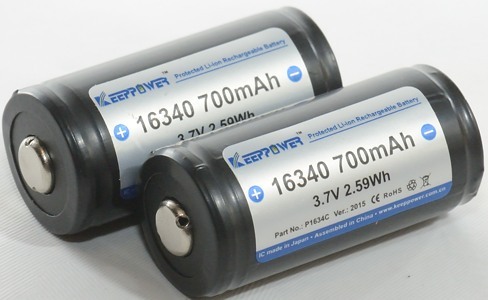 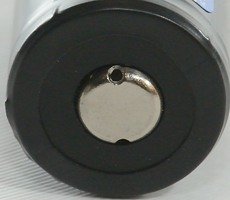 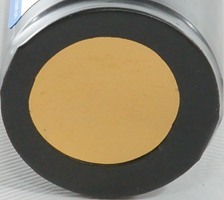 A protected 16340 cell, this type of cell are supposed to have the same size as CR123 batteries, but the protection makes it about 1mm longer. 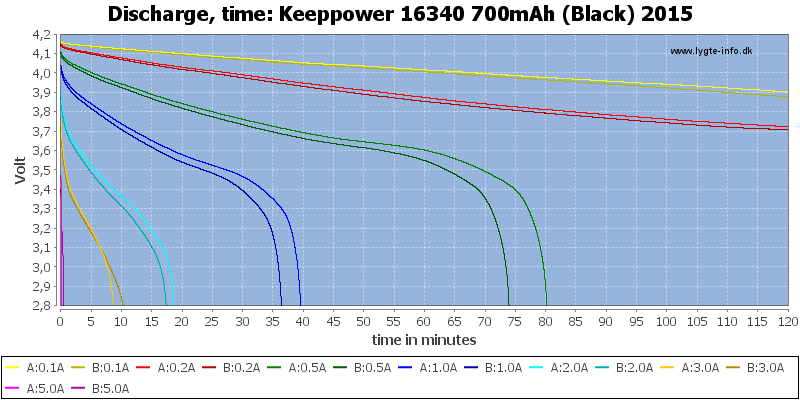 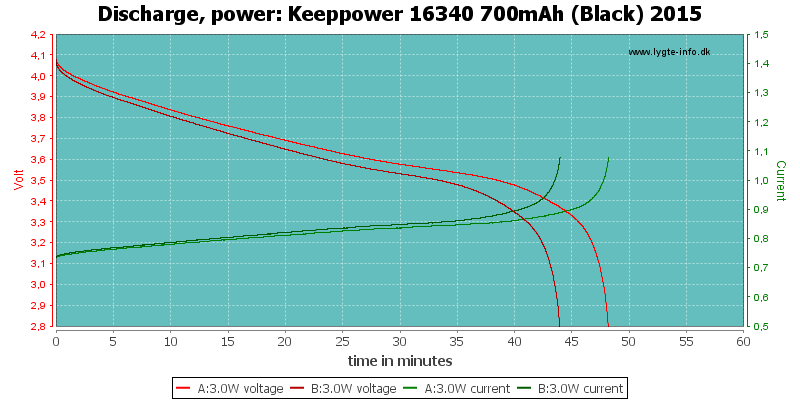 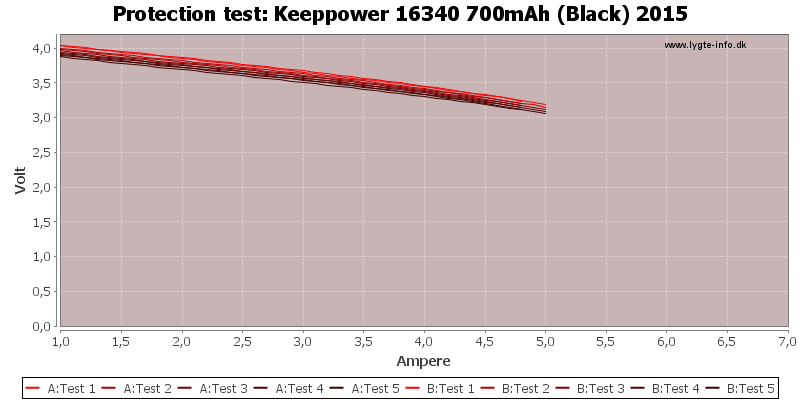 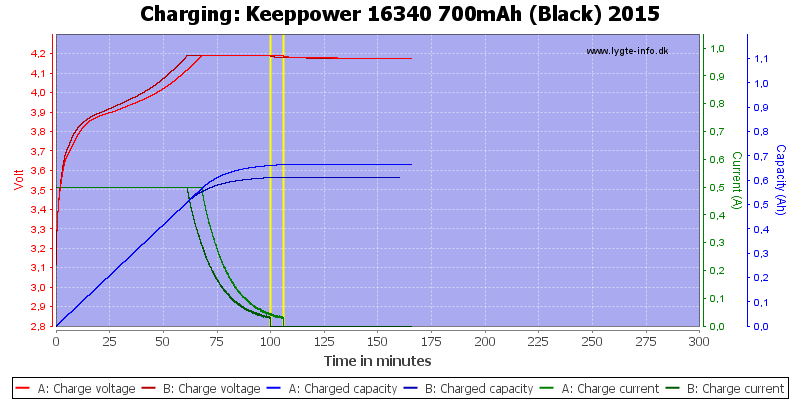 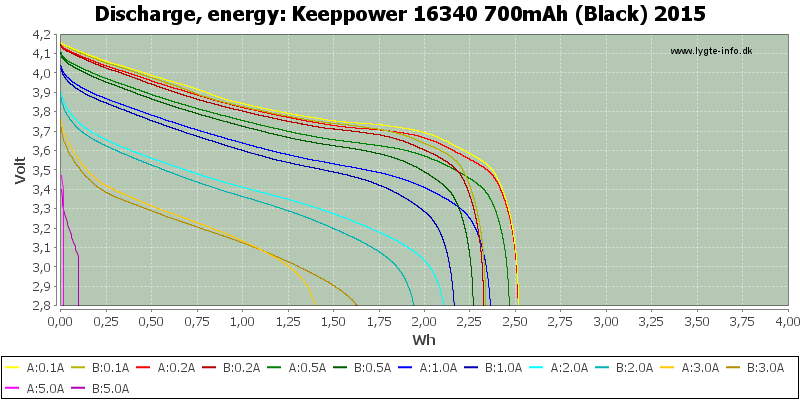 The cells do have fairly equal discharge curves, but not the same capacity. 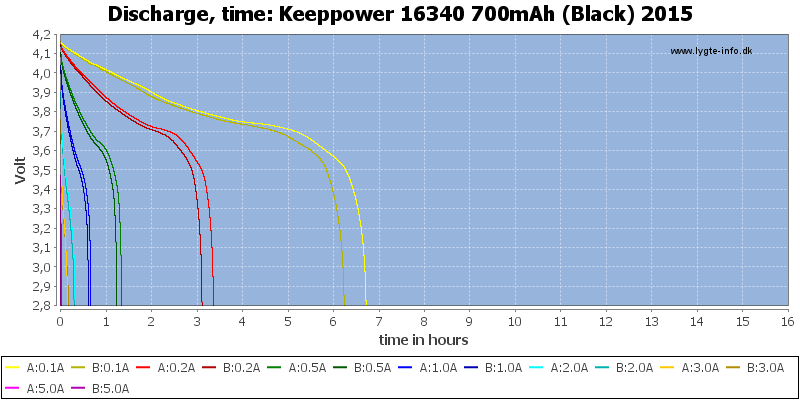 The overload protection cuts my 5A discharge short as it is supposed to do. 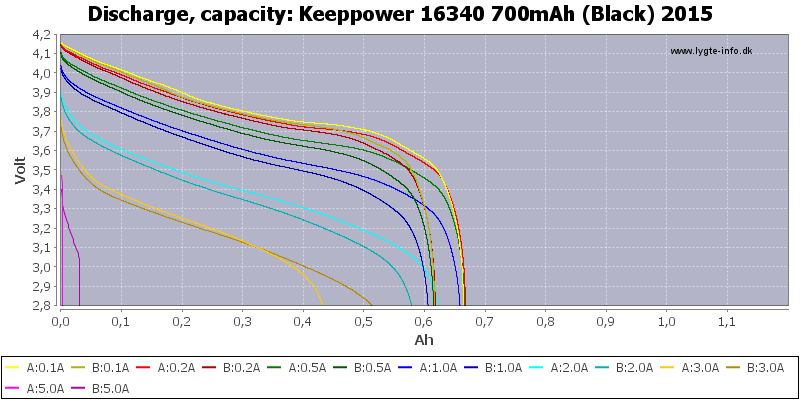 The performance of the cell looks good at lower currents, but due to the difference in capacity between the cell I will not rate this cell as good.